We’ll help You find and purchase Your dream property. Have a property to sell? We’ll handle that as well. Our international team come from a variety of backgrounds from the United Kingdom, Scandinavia and Spain. Our highly qualified real estate experts are at Your service. We provide specialist advice in helping you buy or sell properties. The company ethos is client care and transparency – we’ll help You every step of the way. This includes mortgages and financial matters as well as legal aspects regarding buying properties in Spain. We offer a comprehensive, free life-time property maintenance service management. All work is conducted by our trusted network for all our Customers. Switching your home in or to Costa Blanca is easy with us. We take care of your goods and furniture during the transition. 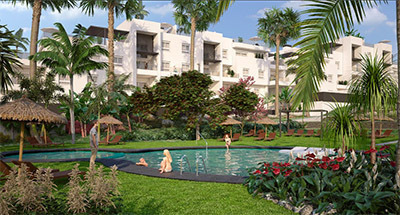 At the moment Proproperties.pro represents around 200 new development property types and selected resale properties in the vicinity of Costa Blanca. Whether you are looking for a new build or a resale property, we can offer to you new build villas, modern apartments or penthouses with fantastic finishing and high quality architechtural aspects. Feel free to ask about anything. If you have feedback, please let us know! Looking for a sunny home with sea view and private pool? Very private because front of home is a large park with green areas. 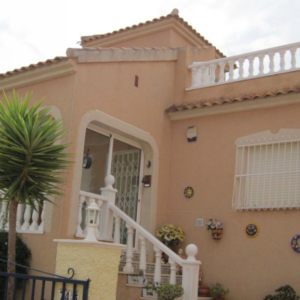 A small villa in Ciudad Quesada - very quiet area! Very well priced large 124m2 duplex in Zeniamar 7.